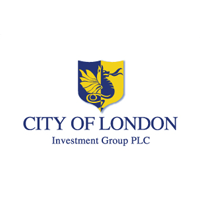 City of London Investment Group PLC (LON:CLIG), a leading specialist asset management group focused on emerging markets and closed-end funds, has today provided a pre-close trading update for its financial year ended 30 June 2018. The numbers that follow are all unaudited. The core EM strategy underperformed (by approximately 330bps, net of fees) for the full year as discounts widened (cost approximately 200bps) and an underweight to China, specifically the IT sector detracted from performance. The Developed, Opportunistic Value (formerly GTAA) and Frontier strategies all recorded positive relative performance due to a combination of positive discount and allocation effects. The Group’s overhead for the year to 30 June 2018 is expected to be £12.5 million (2017: £11.9 million) and the current monthly run-rate is c £1.1m. For the year to 30 June 2018, the Group expects that pre-tax profits will be approximately £12.8 million (2017: £11.6 million), and that profits after an anticipated tax charge of £2.7 million (21% of pre-tax profits) will be approximately £10.1 million (2017: profits of £9.1 million after a tax charge of £2.5 million, representing 22% of pre-tax profit). Basic and fully diluted earnings per share are expected to be 39.5p and 39.3p respectively (2017: 36.9p and 36.7p). 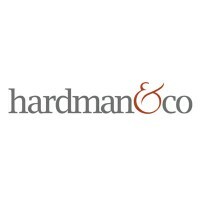 The Board is recommending an increased final dividend of 18p per share (2017: 17p). This would bring the total for the year to 27p (2017: 25p), for dividend cover of 1.47 times (2017: 1.46 times). City of London expects to announce final results alongside publication of its Accounts for the year to 30 June 2018 on 17 September 2018. The Group’s Annual General Meeting will be held on 22 October 2018.